I am slowly dragging myself into the 21st century, I just reactivated my Instagram account. 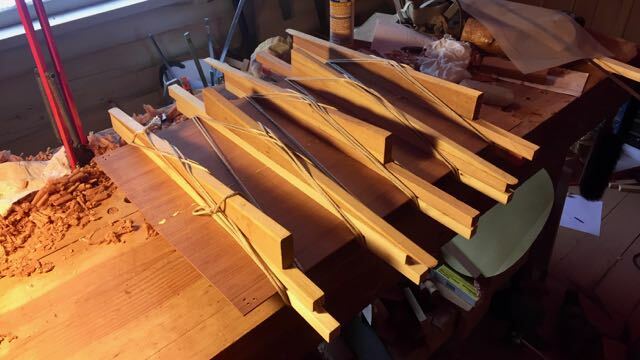 Look for highcountrylutherie on Instagram for daily updates on what I am working on in my shop, mostly guitars, though I may post about something else. I would put a "link to button" for Instagram on this blog, but the directions I found this morning on Blogger Help didn't work, and the websites that were suggested for add-ons, well, their platforms were for everything else but Blogger. Sigh. I need to hire a web designer. I have a Facebook page, too, Wilson Burnham Guitars, but that really isn't much different than Instagram or this blog. You won't find me on Twitter, I can't limit myself to just 140 characters because in college I studied creative writing with Bill Kittredge, Sandra Alcosser, Paul Zarsyski, William Pitt Root and the late Patricia Goedicke. I'm staying in the 20th century and I'll wait to read your blog posts.